You’ve tried just about everything to make your skin look younger, smoother and healthier. 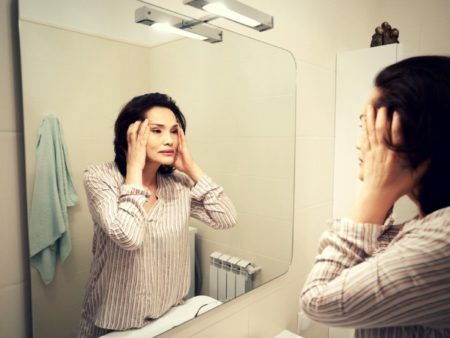 If it’s acne (and acne scars) that ruins your self-esteem, or wrinkles and sagging skin that make you feel old and undesired, you’ve tried everything – other than Red Light Therapy. Your skin looks almost exactly the same, and you may be out of money. What if there was a single natural treatment that could replace all of these creams, lotions, pills and clinic visits and work much better and faster than all of them combined? In this post, you’ll find the 4 astonishing (and proven) benefits and uses for red light therapy and how you can use it at home – safely and easily. I’ll show you the science behind red light therapy, how it works and how it can save you tons of money and time. 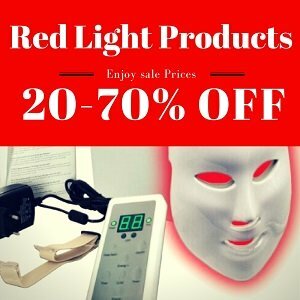 2 What Does Red Light Therapy Do to Your Skin? 3.4 Does Red Light Therapy Damage the Skin? Here are the scientifically proven skin benefits of a low-level laser. You can click the links below to jump to the benefit you are most interested in. What Does Red Light Therapy Do to Your Skin? 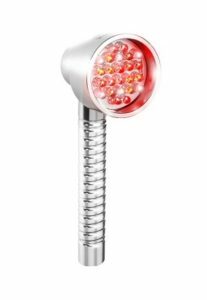 Visible red LED light (wavelength range of 400 – 700 nanometers) therapy is a gentle and effective way of healing and rejuvenating your skin, also known as photomodu­lation. Studies have shown that concentrated red light (no UV light is involved here) is absorbed by cell mitochondria and stimulates the production of collagen – the building block of your skin structure. The heat and light boost blood circulation, bringing more blood and nutrients to your skin. It also promotes cytokines release (chemical messengers). As more cytokines are released, collagen-producing cells (called fibroblasts) leap into action. If your skin needs healing (from acne, acne scars, eczema, sun damage, redness etc.) – then the skin will heal, naturally and faster. If it is already healthy, you will get a plumping effect, along with skin tightening, wrinkle reduction, and toned, radiant skin. Red light skin therapy is Low-Level Laser Therapy (cold laser). It’s a milder, risk-free treatment that won’t burn, cut or hurt your skin as with Laser treatments. Therefore, LLLT will not cause skin inflammation or Erythema after treatments. Just because red light therapy is noninvasive and gentle, does not mean that it can’t produce the same results as a high power laser. It’s safe enough to do it at home, by yourself, whenever you want to, and it can you save dozens of dermatologist trips and a ton of money. 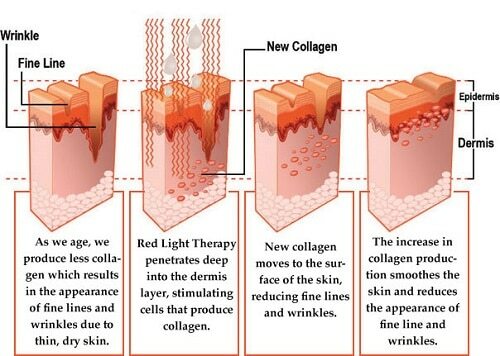 There are many studies proving the speedy collagen production delivered through red light phototherapy, and the results are promising. A 2007 study from the International Center for Cosmetic Medicine in Australia administered nine 20-minute duration red light treatments with a standard red light therapy home device (in the 633 and 830nm wavelength). In A 2006 clinical study published in J.Drugs Dermatol Magazine, 36 subjects received 9 LED treatments (with both red and infrared wavelengths) over the course of 5 weeks and were evaluated after 12 weeks. 5 of them were also biopsied to see the ultra-structural changes in their collagen fibers. Many more studies prove and explain the rising popularity of red light therapy for anti-aging. How Long is One Home Treatment with Red Light Therapy? Depending on the power of your home device, treatment time (for the entire face) can take up to 30 minutes (about 3-4 minutes per area). If you need to treat your entire face, you’ll save a lot of time by using a tabletop device that will cover your entire face in one 17 minute treatment. A hand-held device will require moving the small treatment head from your cheeks to your forehead to your jowls and so on, which lengthens treatment time. 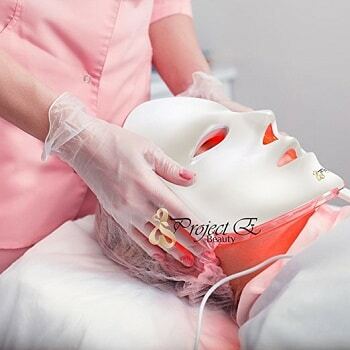 Red LED light therapy masks cover your entire face in one treatment, are hands-free and usually come with more colors (blue for acne, green for stress relief etc). Through my research, they are the most cost-effective option of them all. Based on researching all clinical studies, you can expect the best results after at least 12 weeks of treatment. The initial effect will be clearer, brighter and tighter skin. The long-term effect is improved skin clarity, texture and tone and reduction of wrinkles, fine lines and dark circled under your eyes. Ideally, you’ll need 4 to 6 home treatments a week for the first 2-3 weeks, then at least 3 times a week for 3 months. The more and longer you use it, the better results you’ll get. But the results are worth it, wouldn’t you say? At this point, you already understand the stimulatory effects of LLLT on circulation and collagen formation, right? So, what does that have to do with getting rid of cellulite? Well, since cellulite is thought to be triggered by a weakening of connective tissues and a decrease in microcirculation, red light therapy can become an alternative to conventional treatments. Surprisingly, studies have shown that red light therapy alone has no positive effect on cellulite. When studies combined phototherapy with massage treatment – cellulite size was reduced by 71%! When another study combined red light rays with a topical anti-cellulite gel, LLLT was able to bring about remarkable cellulite reduction. See my full post about why red light therapy is the proven secret to winning your battle with cellulite – HERE. A red light therapy home device (or even better – an infrared massager) can turn your disappointing anti-cellulite gel into something that finally works! It can reduce the plaques associated with Psoriasis. A recent study has found that a combination of 830 (nm) (near-infrared light) and 630 nm (visible red light) LLLT, can demonstrate a resolution of Psoriasis. 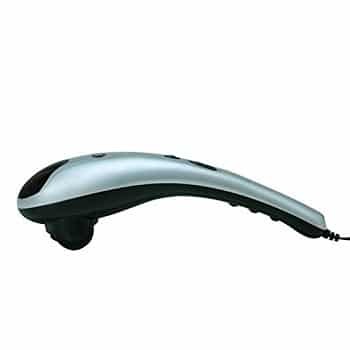 The infrared light therapy treatment was given to people with Psoriasis resistant to conventional treatment. It included two, 20-minute sessions, spaced 48 hours apart for a total of 4 or 5 weeks. The results showed no adverse effects, but rather a resolution of Psoriasis. How Can You Get This Treatment? There are a few FDA cleared red LED home devices that include 830nm and 630nm red wavelengths that you can use to treat yourself at home according to this study’s procedure. 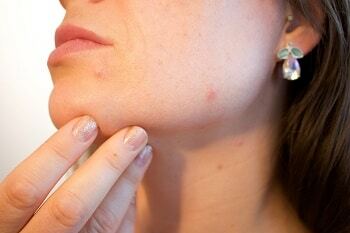 Using red light therapy to treat your acne prevents scar tissue from forming in the first place. 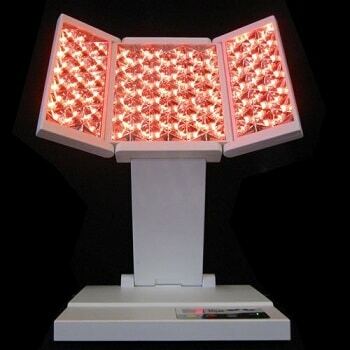 Even if you already have scars from acne, red light therapy can help fade them. As new collagen is formed, the pockmarks often left by severe cases of acne even out, reduce the appearance of acne scarring. This study has proven that near-infrared LED treated scars showed significant improvement over the control scars on all measures of efficacy. And, no side effects were reported. Note: This treatment takes time. Give it at least of few weeks of daily treatments to see results. Does Red Light Therapy Damage the Skin? Low-Level Laser Therapy, delivered through LED light was found to have no side effect and risks to the skin. Unlike high power laser used in clinics, infrared rays won’t burn your skin, won’t cause redness and inflammation, and the heat is almost unfelt during treatment. Red light therapy is safe to use on your skin, as long as you follow instructions and don’t overdo it. Red light therapy is a promising non-invasive, pain-free and natural treatment for a few of the most common skin problems. It’s proven to work for chronic photo-damaged skin (wrinkles, fine lines, sagging), acne scars, cellulite, and psoriasis. These days you can save a lot of money (and time) on clinic sessions by having an FDA cleared red LED light therapy home device, to use 24/7 whenever you need it. 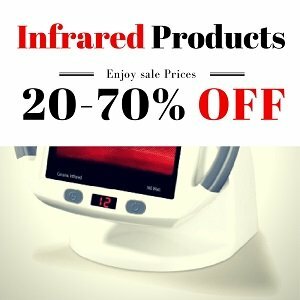 We would suggest even the greatest skeptics to give the infrared home treatment a try. If it can replace just one medication you take daily, or one useless expensive cream (not to mention Botox and facelifts), it is well worth the cost. Do you have any experience with red light skin therapy? We’d love to read about it in the comments below. Is there a product that has both the red light therapy and infrared? I would like to offer it to my massage clients for pain relief and anti aging benefits? If so, what’s a great one you recommend? I have seen several. One is the Revive handheld. I saw some reviews on YouTube about it. It looks pretty good! Hi. I have been using red light for about two weeks. Is it normal to have some pigmentation appear? Is it rising to leave the skin similar to IPL? Some people experience a little pigmentation on their skin. According to studies, this may be caused of overuse or not cleaning the skin well before treatment. If used properly, LLLT should not cause pigmentation, but reduce it. What’s the definition of ‘overdoing’ it? Over doing it would be to use it more than the specific instructions for each device. Generally, for more than 25 minutes 4-5 times a week, and more than once a day. I have been using Red Man light bulb that is 670 but it isn’t doing anything for me. I have been using it for over a mo th. I am tho thinking of buying something else. I have used the Red Light therapy beds at the tanning salon. I used this twice a week, while working out, eating fairly cleanly, at home self facia massage, and drinking gallons of water. Within about 3-4 months all the cellulite on my legs was virtually undetectable!… and I am over 50. I definitely saw results! Should my skin be completely clean during treatment? I’m assuming no makeup, but what about moisturizers or other creams? Thanks. Yes, completely clean, with no moisturizers and other creams. You can use those right after treatment.